Love how changing just a couple of things can transform an outfit into something totally different. 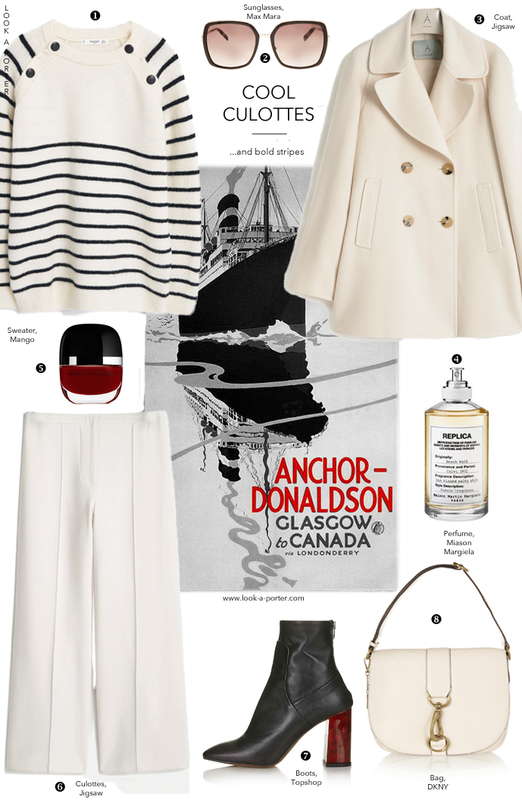 Naughty nauticals, culottes and whites with a touch of lipstick red here and there. Put it on, take it for a walk... Seaside is optional - if all fails, there's always a perfume.